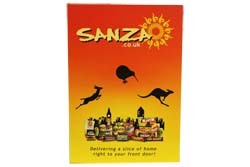 For an additional £0.50 we will add a card with a personalised message for you. To add your personalised message, at the checkout stage, please enter your message into the 'Additional Info' box. This is the best ginger beer you will find. Great Aussie ginger taste to cool you down or settle a troubled tummy.